Users of the "PASCAM Handicraft-Edition" can create 3D models very easily and efficiently with all the necessary additional woodworking information for manufacturing-oriented models, based on a SOLIDWORKS® OEM license. Users can derive 2D drawings, export material and parts lists (BOM), and easily create realistic renderings of your product models for advertising purposes, as well as communicate with your 3D model data with customers and business partners alike. The creative freedom for the daily design tasks is supported ideally by the wood-specific design and engineering solution PASCAM Woodworks, where adding hardware components and applying any kind of typical wood-specific joints is available at a click of a button. Also implemented is the safe and easy export of comprehensive lists of all applied materials, as well as fast and reliable profile generation and variant design tools. The user can always resort to open, self-defined libraries and efficient automation technologies. To use the software quickly, efficiently and safely from day one the complete "PASCAM Handicraft Edition"-package includes a lot of service, such as a 5-day training course, as well as the on-site installation. Additionally included in the package price is software maintenance and user support via remote sessions, telephone and email for the first year. 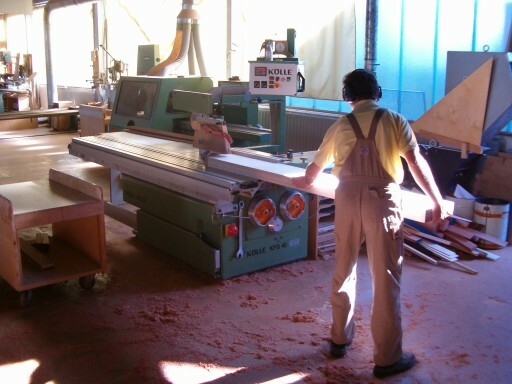 Furthermore, the connection to existing ERP-systems and specific woodworking software solutions in your company is also included. The package also includes the generation and database implementation of the five most used hardware components during user training. PASCAM is offering this future-proof woodworking CAD system package for ambitious professionals in the woodworking sector at a total price of 10,000 €. Upon request the "PASCAM Handicraft Edition"-CAD package is also available with our woodworking CAM system PASCAM Bea, to enable quick and easy CNC programming of your CNC machines from within the SOLIDWORKS® user interface.